Frost & Sullivan is pleased to announce its 2009 quarterly analyst briefing presentation on CIGS Solar Cells which is going to be held on Thursday, 25 June 2009, at 16.00 BST. CNT based probes deliver a new level of AFM imaging performance. Taiwan DRAM manufacturer orders all-surface inspection system for front-end manufacturing process control. DKSH Holding Ltd. and Oerlikon Systems today announced that the companies have reached an agreement that DKSH will take over all sales and after-sales activities of Oerlikon Systems in China and Taiwan. NanoProfessor program will debut during the 2009-2010 academic year at Dakota County Technical College in Rosemount, Minn.
Rexin-G has recently been granted Orphan Drug Status and market protections for three separate cancer indications by the U.S. FDA. The Soitec Group, a leading supplier of engineered substrates for the microelectronics industry, announced today that its 300mm ultra-thin SOI (UTSOI) wafer platform is qualified and ready to support fully depleted (FD) device applications scheduled on the industry's CMOS roadmaps for 22nm and beyond. 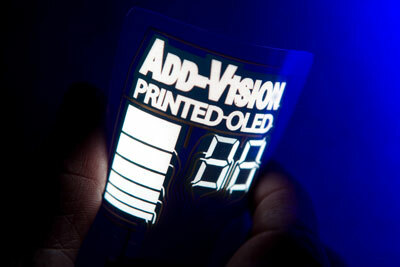 Future applications include active packaging and labels, electronic toys and games as well as point-of-sale signage. FEI Company, a leading provider of atomic-scale imaging and analysis systems, today announced it has acquired the Mineral Liberation Analysis business of JKTech Pty Ltd, the technology transfer company for the Julius Kruttschnitt Mineral Research Centre (JKMRC) and other Centres of the Sustainable Minerals Institute (SMI) at The University of Queensland. NanoViricides, Inc. reported today that testing of its topical eye drops drug candidate has begun at two different, independent facilities. Nanopoint Inc., an award-winning developer of Microfluidics and Live Cell Imaging products, today announced that effective immediately its cellTRAY Imaging System and cellTRAY Fluidics System are available to the European marketplace. iTi Corporation, a worldwide leader in high precision industrial inkjet systems, today announced that board member, John Spiers, will be a featured speaker at the Nano Renewable Energy Summit, held June 22-23, 2009 at The University of Denver. Ztherm provides highly localized heating with sensitivity to 10-22 liter (sub-zeptoliter) materials property changes, more than an order of magnitude improvement in volume over that previously available with commercial systems. 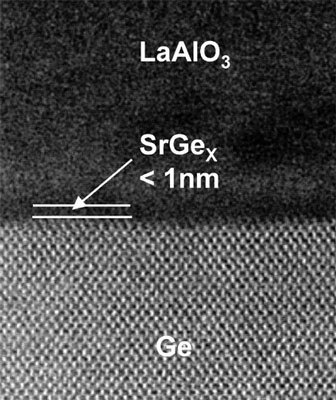 Achieved a record-high hole mobility by forming an ultra-thin strontium germanide (SrGex) interlayer. Die Dresdner Nanostart-Beteiligung Namos hat mit ihrem Verfahren "Einsparung von Edelmetallen in Katalysatoren durch biologische Template" den IQ-Innovationspreis Mitteldeutschland im Cluster Automotive gewonnen.